This 50 gram cast gold bar from Swiss gold refinery Argor-Heraeus has a gold purity of 99.99%. 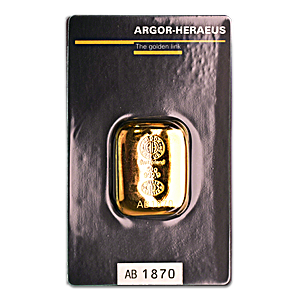 Known as the 50 gram classic molten gold bar by Argor-Heraeus, this cast gold bar is a world class gold bullion product for investors and collectors alike. The front of the 50g cast gold bar is imprinted with the Argor-Heraeus refinery bar mark, the words ' Argor-Heraeus SA' encircling the letters AH, with the location 'Switzerland' below. Below this are the bar's weight and gold purity '50g 999,9', and the assay mark 'AH Melter Assayer'. 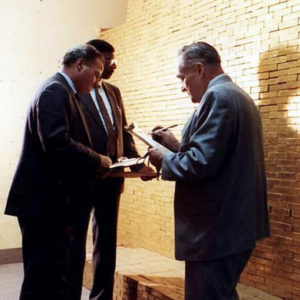 Each 50 gram cast gold bar is also inscribed with a unique serial number. Each 50 gram cast gold bar is presented in a PET transparent tamper-proof blister pack which doubles as the bar's assay card. The dimensions of the cast gold bar are 28.0 mm x 21.0 mm x 6.0 mm. The dimensions of the packaging are 85.0 mm x 54.0 mm. 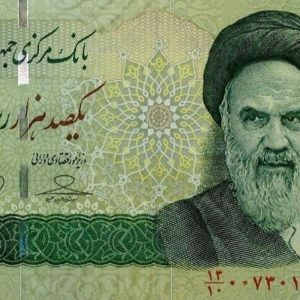 Now fully owned by German refiner Heraeus, the Argor-Heraeus refinery was established in 1951 and was for a time ownd by the Union Bank of Switzerland (UBS), and after that by a consortium of Heraeus, Commerzbank and the Austrian Mint. 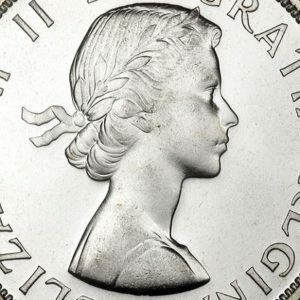 Argor-Heraeus is one of the most prestigious precious metals refiners in the world, listed on the London Bullion Market Association (LBMA) Good Delivery List for Gold, and also a member of the LBMA's prestigious Good Delivery Referees panel.